One of the technical themes of my research career has been locating sound sources, initially earthquakes beneath the seafloor and more recently whales in the ocean. A few years ago I was invited by a team fishery biologists, led by John Beeman, at the USGS’s Western Fisheries Research Center Columbia River Research Laboratory to participate in a project funded by the US Army Corps of Engineers to use networks of hydrophones to locate acoustic tags that have been implanted in salmon smolts. One of the challenges for restoring salmon runs is to help fish navigate past damns. For salmon migrating upstream to spawn fish ladders can be built to provide a passage around dams or the salmon that congregate at the base of a dam can be captured and then trucked and released above it. For smolts coming down river and encountering a reservoir, many will enter the power generating turbines where their chances of survival can be pretty low. One approach is to collect the smots in the reservoir and truck them downstream but a challenge for this plan is designing and locating a collection structure that will work effectively in large reservoir. 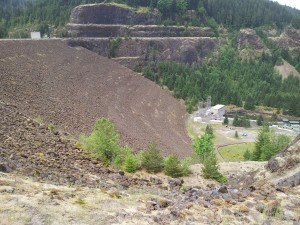 Cougar Dam is 500 ft tall rock fill dam (the rock was quarried from basalt lava to form terraces on either side of the valley). In order to understand how smolt behave in a reservoir, where they congregate and how effectively a collection structure captures them, tiny acoustic tags can be surgically inserted into smolt. The acoustic tags emit a short sound signal at regular intervals that is distinctive to each tag. A single hydrophone can be used to detect the passage of tagged fish while networks of hydrophones can be used to track them. 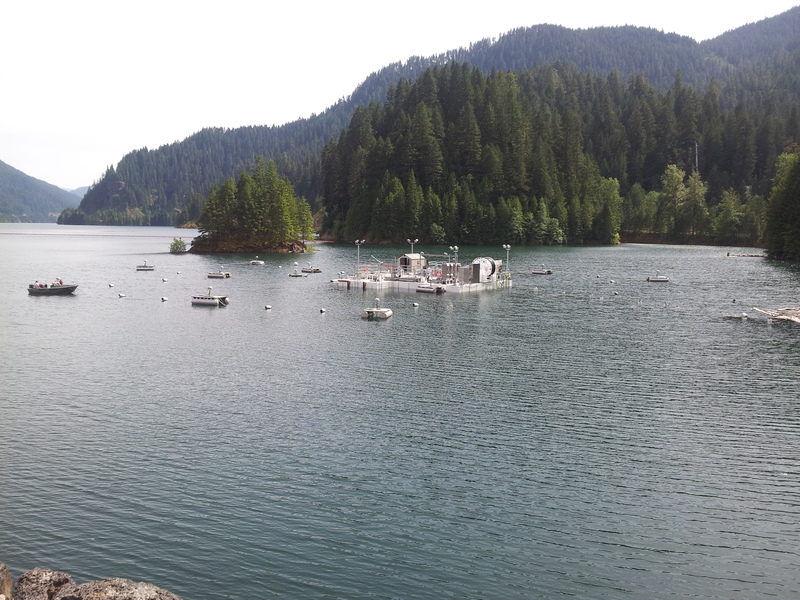 The project I am working on involves field studies at Cougar Reservoir and Detroit Lake in Oregon. 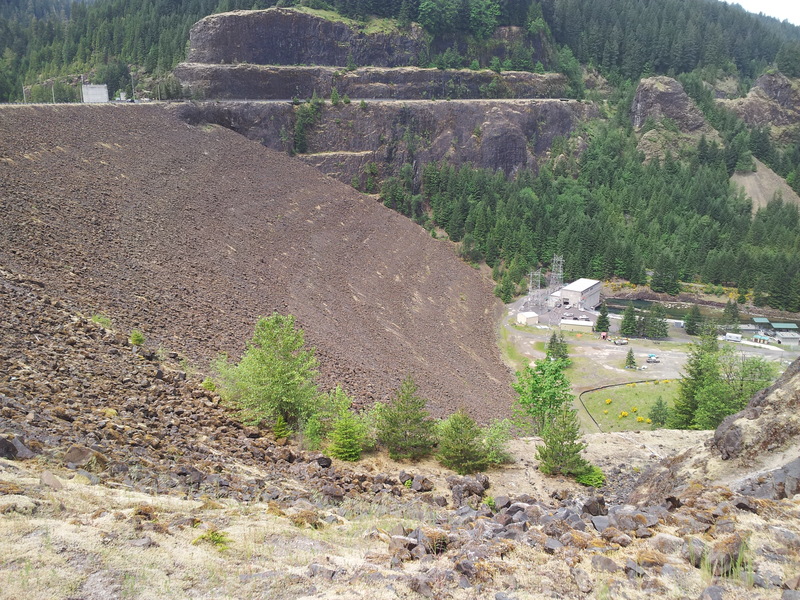 These two reservoirs were built in the in the mid-20th century for flood control of waters entering the McKenzie river and for power generation. They are both characterized by 400- to 500-ft-high dams that are a significant obstacle to salmon. My contribution to the project has been developing a MATLAB algorithm to locate the fish. Unlike many water bodies where tags are deployed, the reservoirs develop a strong thermal stratification in the summer which leads to a depth-dependent sound velocity (sound waves travel faster in warm waters – an odd property of water since in most materials sound waves travel more slowly as they heat up). My location algorithm accounts for depth-dependent sound velocity and also includes tools to analyze the performance of a network using data from beacon tags that are place at fixed locations in a network or towed through it in a drag survey. Once it has undergone a little more testing, we plan to share the software with other researchers.